Advanced driving lessons promote safe driving and motorcycle riding through increased awareness of a vehicle's surroundings and driving conditions. Improving driving skills also ensures that motorists have the knowledge needed to react appropriately to potentially dangerous situations in order to avoid collisions. Advance driver training is available for professional instructors, as well as ordinary drivers and riders interested in improving driving skills. According to the Royal Society of the Prevention of Accidents (RoSPA), advanced driving is a "safe, thoughtful and methodical" manner of operating a motor vehicle. Advanced drivers are seen as more observant and aware of their vehicle's surroundings. 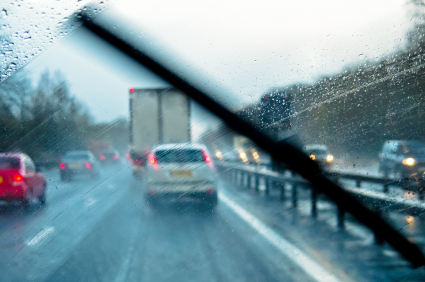 As a result, advanced drivers are better capable of anticipating changes in driving conditions. They are also more effective at identifying potential hazards and reacting appropriately to changing road and driving conditions. In-depth knowledge of The Highway Code and Roadcraft, the Police Driver Handbook, are essential for any advanced driver. Roadcraft recognises advanced driving as a driver's ability to control a vehicle's speed and position safely, smoothly and systematically. Advanced drivers are aware of and respond to actual road and traffic conditions to drive with a high degree of skill and responsibility. Advanced driving requires a courteous and positive attitude, as well as concentration on the task of driving and effective observation of one's surroundings. It also requires drivers to anticipate and plan for all potential hazards and dangerous driving conditions. Speed, position, use of gears, and distance are all monitored and adjusted for different conditions to ensure safe and effective operation of the motor vehicle. One of the main benefits of advanced driving training is reducing the risk of collisions, and as a result reducing the risk of property damage, injuries and loss of life. Other benefits include optimal operation of a motor vehicle, which can reduce wear and tear. Smooth driving techniques and responsible driving behaviour help protect motor vehicles from damage, such as improper use of brake and gears. It also promotes cost effective driving that minimises fuel consumption, which in turn helps drivers save money. Drivers and riders who complete advanced driving training and testing may also benefit from insurance discounts. In order to complete advanced training, drivers and riders must hold a valid and current full driving licence. Training is recommended for any driver interested in becoming a certified advanced driver or for professional driving instructors. The RoSPA and the Institute of Advanced Motorists provides free advanced driver and rider training and advice through local groups. Membership in a local group is required in order to participate. Training in advanced driving is also available from approved professional driving instructors and driver education training schools. Courses in advanced driving can vary in length from half-day or full-day sessions to multi-day sessions with multiple driving lessons. The length of the course will typically depend on the level of skill of individual drivers. When selecting a course offered by a professional instructor or driver education and training provider, ensure that the training course is fully insured. Also verify that the instructor is approved by the Driving Standards Agency as an advanced driving instructor. On-road advanced driving courses provides practical experience and instruction in defensive driving techniques on public roads and motorways. Courses include instruction on advanced road and motorway driving skills, as well as situational awareness of potential hazards. Training also promotes defensive driving skills, including teaching observation skills, space management and speed control for different road and driving conditions. Courses provide an opportunity for instructors to assess an individual's driving skill and identify areas for improvement. Off-road advanced driving courses are also available for skilled and experienced drivers. These courses provide participants with an opportunity to learn defensive driving techniques on a track, including stunt, police and performance driving techniques. Tracks are also ideal environments to practice skid control and driving in different road conditions, such as wet or slick surface conditions. Off-road courses typically include the opportunity to drive race and rally vehicles in order to learn the most advanced driving techniques. Drivers and riders wishing to be certified as advanced driver must complete a test with a recognised advanced driving association. Advanced driver testing is monitored and approved by the Driving Standards Agency. In the United Kingdom, advanced driving tests are available with the RoSPA, the Driving Instructor's Association of Great Britain, and the Institute of Advanced Motorists. Professional driving instructors may also take an advanced driving test with the Driving Standards Agency. Annual re-tests are typically required to ensure drivers maintain skills and standards. Tests include an assessment of whether vehicle controls are used smoothly, including steering, clutch, gear, brake, accelerator and horn use. Tests also assess a driver's visibility and use of mirrors. Driving performance is also gauged, including moving off and stopping, cruising, positioning, signalling, reactions to road signs and hazards, cornering, reversing, and overtaking. General understanding of the vehicle's systems is also assessed. Speed control, distance judgement, observation, driver deportment and temperament, vehicle sympathy, consideration and restraint, concentration, and knowledge of The Highway Code are also examined.